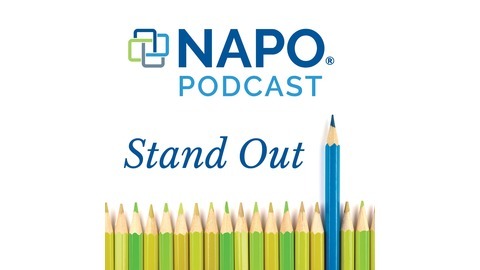 Whether you are just launching a career in professional organizing and productivity or you’re a seasoned veteran — The Stand Out Podcast Series from the National Association of Organizing & Productivity Professionals (NAPO) will teach you how to make the most of the Organizing and Productivity Industry. Host Sarah Karakaian interviews business experts and successful professionals in the productivity and organizing world. 732146. Today on Stand Out we welcome the inspiring Emily Parks, professional productivity and organizing tech consultant and the founder of Organize for Success. 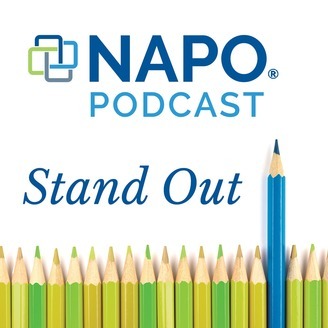 Emily shares her personal journey and how she got into the industry, joined NAPO, her public speaking gigs and the current services she offers clients.